After an epic all day journey to Penzance we arrived in sunshine. We met the 28 other riders as part of the Discover Adventure team. Some great people And some real characters! 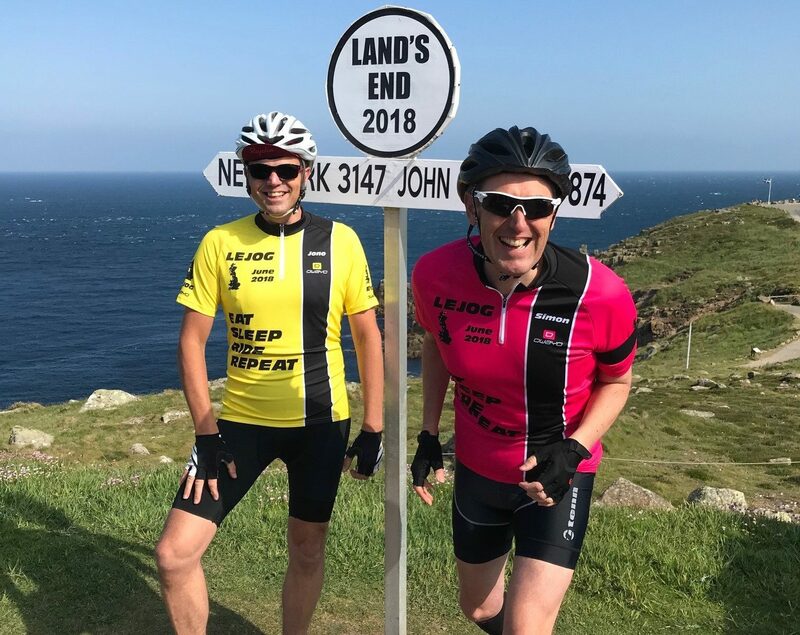 we took a coach transfer to Lands end in the morning and did ten miles of the route we would be riding back in an hours time! Everyone notes how ‘bumpy’ (a term for hills!) it was and that it was very blustery. Still, the sun was shining and the nervous tension was palpable. 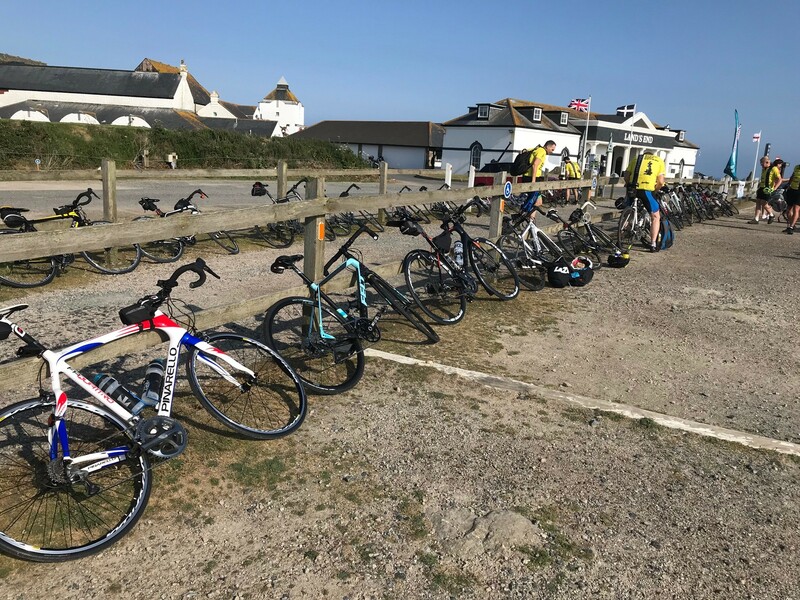 Our bikes had been delivered to the historic Lands End complex and we had the obligatory photographs at the end point of the UK. In truth I was very keen to settle the nerves and get on with the ride. 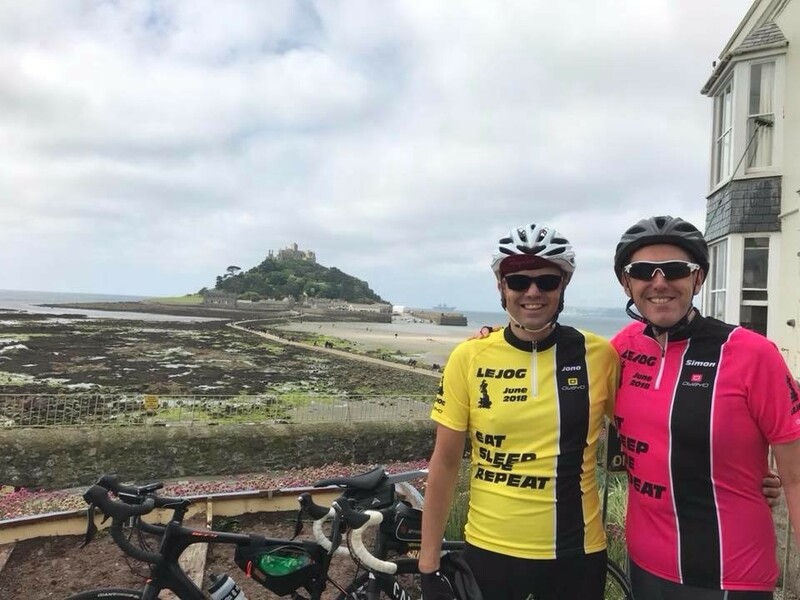 Simon and I had planned that we would ride together and not fall into natural groups so we could manage our pace and it’s less dangerous being a pair rather than a peloton of riders. So we ambled out of Lands End with a very strong coastal wind. The route took us back to Penzance and past the famous St Michaels mount which looked incredible on the morning sun. It was very warm and spirits were high. Our first hydration stop had us all agreeing the temperature was rising and the latter part of today’s ride had some epic climbing so keeping well hydrated was essential. Lunch at Probus (odd Cornish name for a village!) has many stating they were made up that they could essentially eat what they like as we were burning it off! We arrived at Liskeard after a couple of frankly evil climbs but the lure of a bath was a very one! A great day in the saddle! Previous PostPrevious Here we go! !